Did you know that our Hybrid Inks work wonderfully with Copic markers? The Black Licorice Hybrid Ink is my go to ink for colouring. 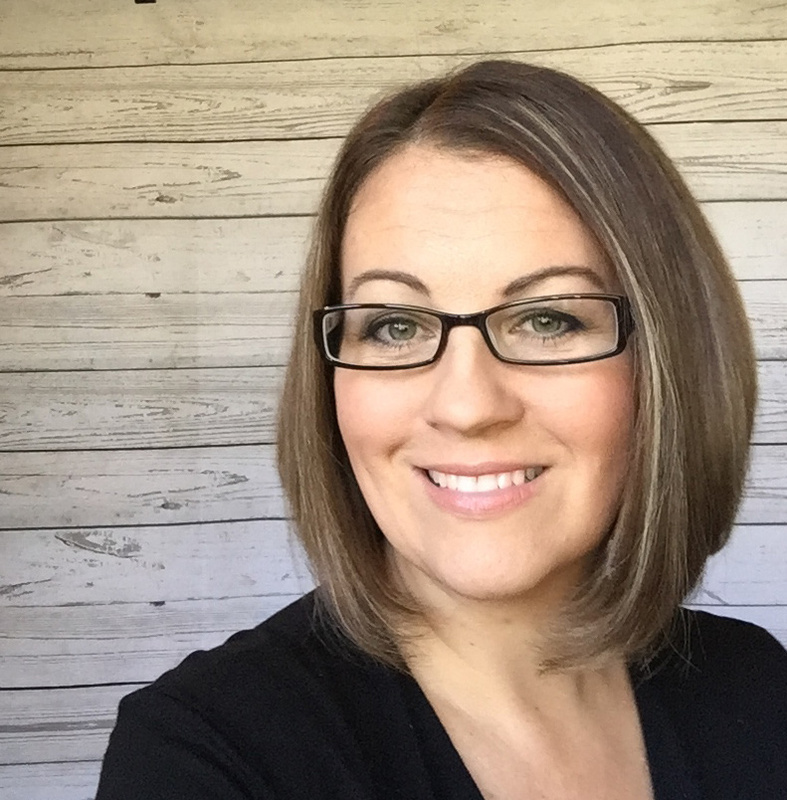 The MFT design team is sharing projects today that highlight how well the Hybrid Inks work with our favourite colouring medium. 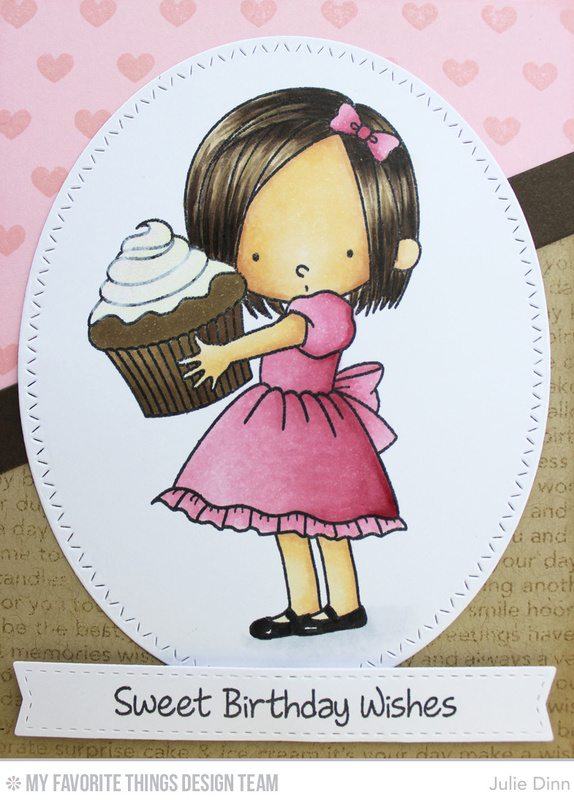 For my card, I grabbed one of my favourite Birdie Brown sets, Sweet Birthday Wishes. I stamped the image on a piece of X-Press It card stock and I coloured it with Copics. I added a little shimmer to the top of the cupcake with the Wink of Stella pen. I used a couple of different stamps and Blueprints 18 Die-namics to create the background. 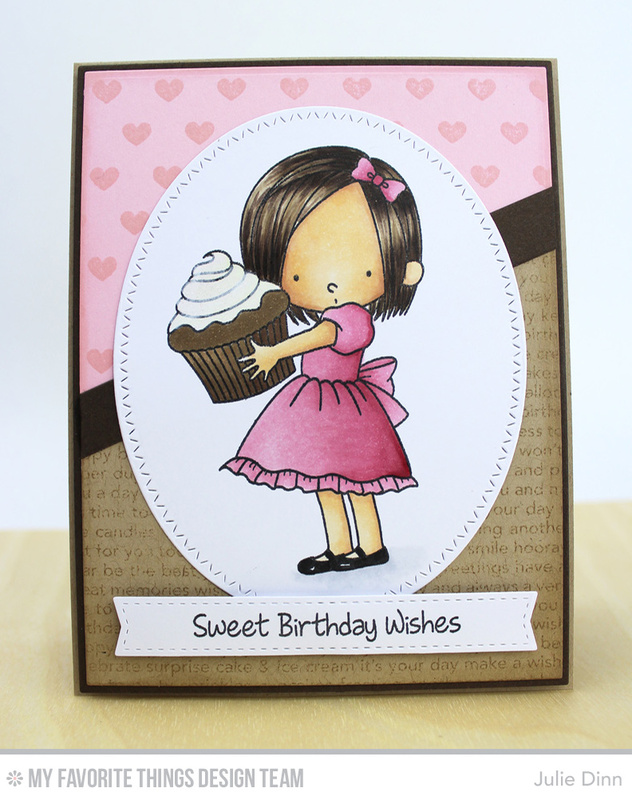 The top was stamped with the Tiny Hearts Background in Tickled Pink Premium Dye Ink, the bottom was stamped with the Happy Birthday Background in Kraft Premium Dye Ink. 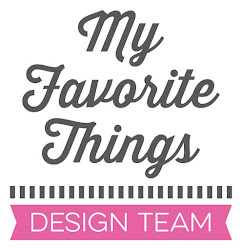 Be sure to stop by the MFT Blog to see the gorgeous creations the rest of the team has to share with you.